A samurai was expected to uphold the moral code of honor, loyalty, and humility known as bushido, even during times of peace. As a firm reminder, many such warriors would mount their blades on the Samurai Bushido Four Sword Wall Rack! The Japanese kanji for Bushido, literally translated as the way of the warrior, sits prominently in a sleek golden color against the black hardwood construction, an elegant piece that honors these noble swordsmen of the ancient world. 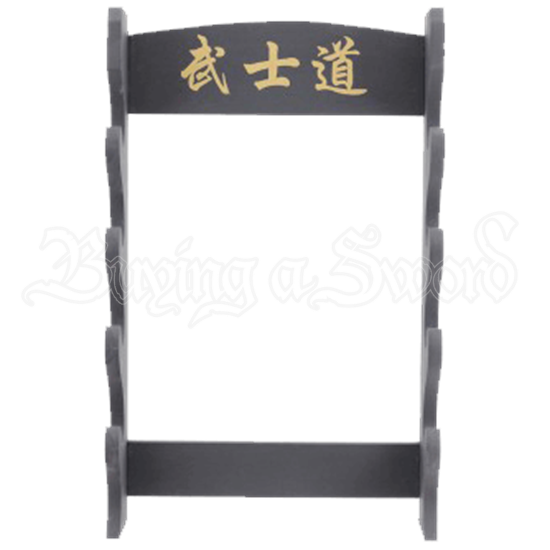 Designed in the traditional Japanese style, this decorative sword rack hosts a classic black four-tiered build that perfect for displaying a weapon of your choice, especially when bolted to virtually any wall of your choice. 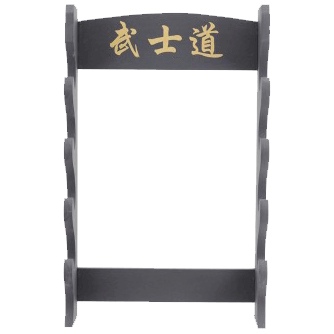 Whether four swords or other weapons, the best way to organize and honor your weapons is upon the Samurai Bushido Four Sword Wall Rack!